I would discuss my weekend with you but I don’t even need to put the effort in for such a post because the post I published exactly one year ago today recaps it just fine. How ironic that I ate the same foods at the same places exactly a year apart? Or I just need more variety in my diet. 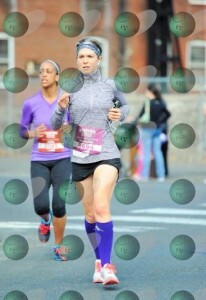 Instead let’s look at some race photo samples that are covered in dots/not all that clear. 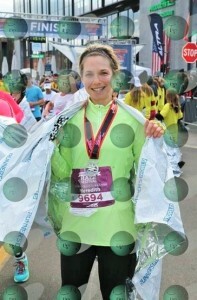 Don’t I look nice covered in dots? 10k finish line where I grabbed both the 5k and 10k medal. Can you see I am smiling during the half? I know you are wondering what’s next on my race calendar. 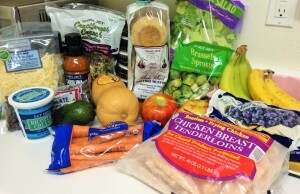 I wanted to tell you about some of the races that I am considering for my 2015 calendar but then realized I haven’t done a post detailing my grocery shopping in a while. Funny how two totally different topics are actually tied together today. I almost didn’t get these pictures taken. As I stood in Trader Joe’s, right after I asked on instagram if anyone had tried the new Quinoa Cowboy Veggie Burgers, I came close to abandoning my cart mid-aisle. Have you tried them? I didn’t buy them because I am waiting for someone to tell me they are worth it. Right there in the frozen aisle I was hit with some serious cramps because yes, that time of the month. I made it through the check-out and somehow drove home but had zero intention of unloading the groceries from my car. When you are ready to curl into a ball and die a slow death because your insides are in worse turmoil than what you are seeing on CNN these days, the last thing you care about is the chicken that may defrost in you trunk. Thank goodness for my next-door neighbor/close friend/savior for being home and offering to bring in my groceries so they didn’t go bad. She is truly the Kate to my Allie. Please tell me you know the television show I am referencing here. So how does my pain relate to my race calendar topic you are wondering? You may remember that I learned the hard way that I cannot run a race during this time of the month. 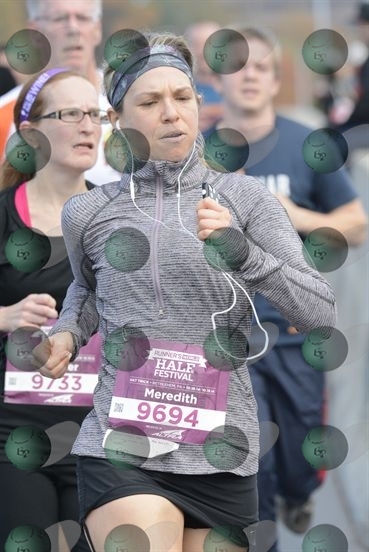 Since dropping out of that half marathon in the middle of the race due to the dizziness and overall I-am-not-okay-enough-to-race feeling, I now have to carefully plan which races I run which really means, I cannot plan too far in advance since my internal calendar is not always perfect. 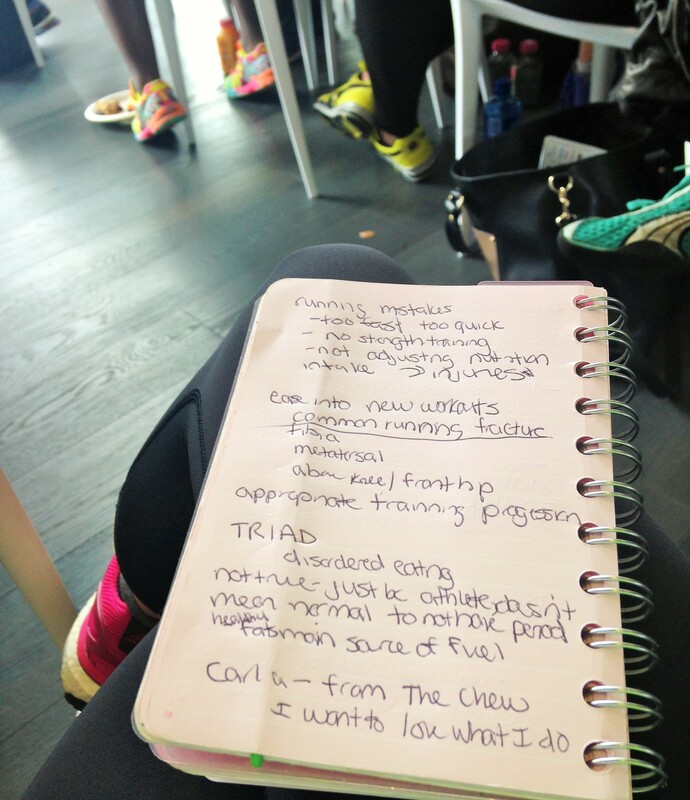 How could I ever register and train for a marathon should I ever decide that I wanted to do so? But I will take it, accept my limitations and embrace it. Remember my notes from the Meet and Tweet? We covered the Female Athlete Triad which included a long discussion about amenorrhea and how it is NOT normal for you to NOT get a regular cycle just because you are a runner/athlete. I hate cramps and feeling bloated as though I am some sausage ready to pop out of my leggings and I despise the fact that my internal calendar may conflict with my race calendar but all of those circulating hormones are a decent sign of good health. No one wants to be inconvenienced by cramps and what comes along with it but it sure beats raising your chances of stress fractures, injuries, a slowed metabolism (from disordered eating/not eating enough), the risk of infertility and a host of other health problems. NYC Runs Winter Series 10 Miler – Hot Cocoa plus a free mug! Who knows, maybe I will get lucky enough to be able to run all of them! What’s next on your race calendar? 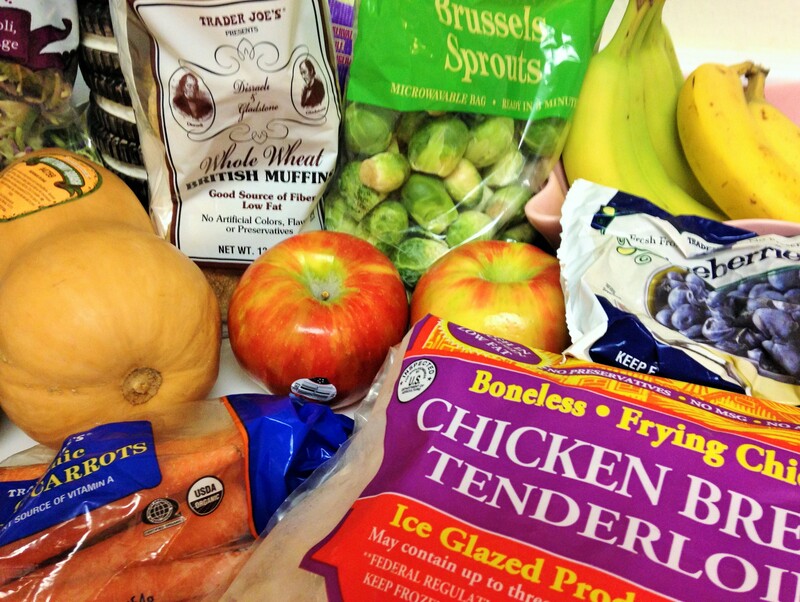 Did you buy anything new this weekend at the grocery store? 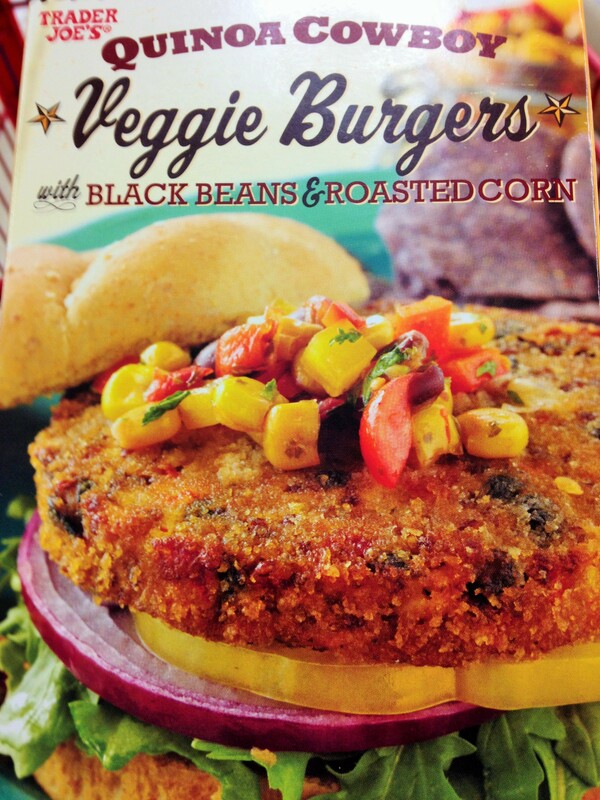 Veggie burgers- buy the frozen or make your own? I personally think dots look good on you 🙂 Haha! Ha thanks! Hope you are feeling well these days! Can’t believe how far along you are. It goes so fast! Aw thank you! lol. The dots do me well…Isn’t it crazy to already be looking at races dated with a 2015?! Do the Hot Chocolate 15k – it’s in Phili! Ashley @ Kickashmom recently posted…I walked 5 miles. You are far too kind. I don’t think I look as good as you say so I am pretty sure that your idea of what you look like when you run is completely different than what the rest of the world thinks! 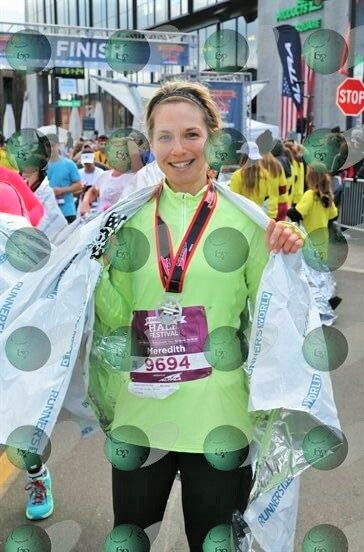 I was so confused when I saw the thumbnail for this post–I legit thought you were an off color pizza or a dalmatian or something for a halloween race. The likelihood of me ever making my own veggie burger is slim to none. But as they say in Dumb and Dumber… so you’re saying there’s a chance! Susie @ SuzLyfe recently posted…Green Festival Chicago 2014 and New Fave Companies! An off color pizza. lol You always make me laugh. While I’m sure its annoying to not plan your races farther in advance, there are alot of positives to doing it that way too. Especially if you know you want to do a half, then you just start training for it and you can sign up when your’re feeling good! I don’t think it would be reasonable to do this for a full, but but 13 or less and I think its a great plan! 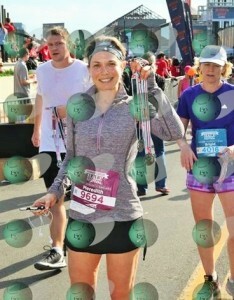 Yeah, for races of 13.1 or less, I can totally wing it and sign up close to the last minute. 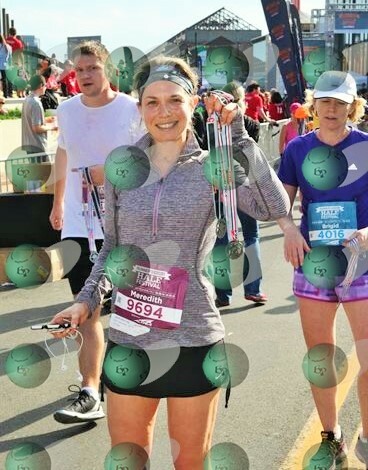 It’s the idea of ever deciding to do a marathon where I would really have a problem! I have told myself that the defer option would have to be considered. I wouldn’t like it but I know myself and would not have a choice. 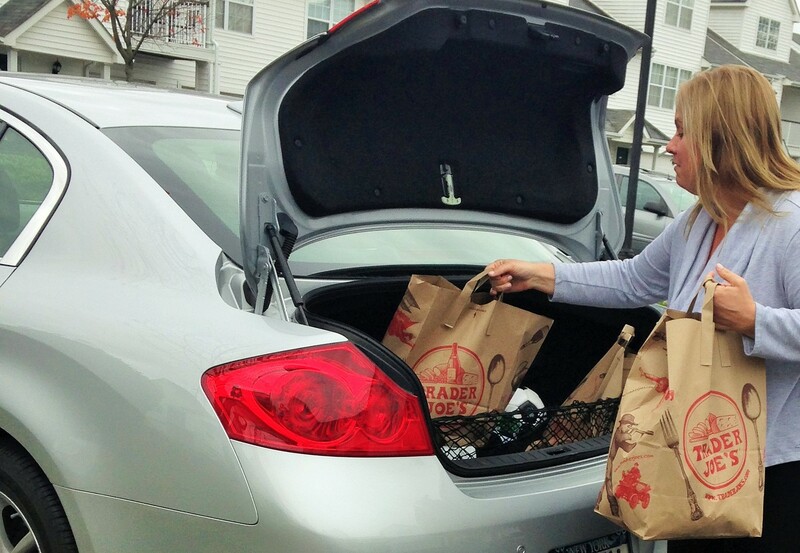 Not up to it anyway just yet….Carrying your groceries up the flights of stairs is definitely a workout! I love how smiling and happy you look after the race. That’s the way to do it! I honestly think these are the first race photos where I am smiling and truly happy the entire time! Congrats on finishing the race. Yet another knot on your belt. Nicely done. I usually make my own veggie burgers. I make a giant batch and then cook them all and freeze them for future use. In fact, I even had one from the freezer for dinner tonight. It was perfection. Sometimes I make my own but more often than not, I rely on Dr. Praeger’s. I saw those cowboy burgers posted somewhere else and now I definitely want to try them…they look awesome. So does that race list – lots of good ones on there! Hi. I’m really sorry about your cramps. I have to tell you that since I became Vegan last year, I haven’t felt a single cramp nor bloat of any sort. I came across your blog bcuz I was curious to try these veggie burgers, so I googled and it led me to your blog. Well, boy I don’t regret it. Yummmm!!!! I Usually do the boca burgers, but these are much more flavorful. Totally agree with you – vegan diets have been known to fix the menstrual cramping and discomfort. I am more vegetarian than vegan but try to be mostly plant-based when possible. I did have more dairy this month and eggs so I am going to work on cutting back this month to see if it helps!